The Compulsive Reader: Sylo Blog Tour with D.J. MacHale! 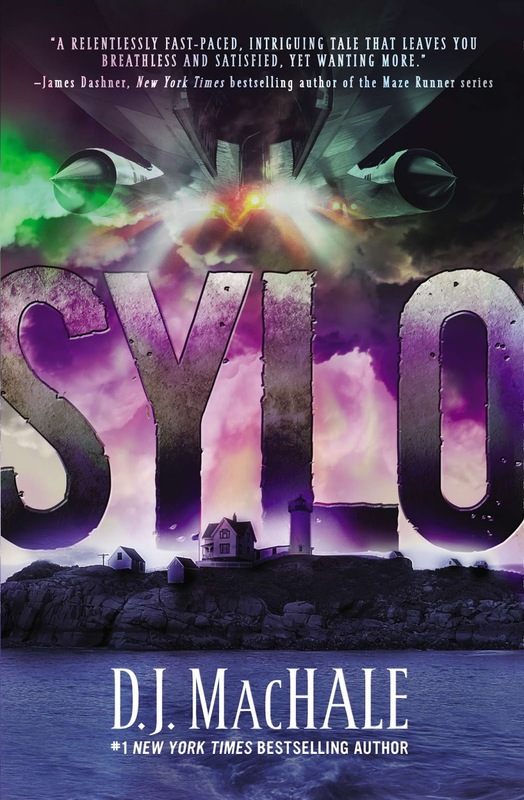 Sylo Blog Tour with D.J. MacHale! Welcome to the Sylo blog tour! There’s no better person to explain some of the crazy, creepy things happening on Pemberwick Island than D.J. MacHale, so we asked him to spill all his secrets to all of you! * Follow along on Mondays, Wednesdays, and Fridays to enter to win a SYLO prize pack at every tour stop and get the inside scoop on Sylo! *Disclaimer: D.J. didn’t tell us all his secrets (though we tried! ), but he did give us some pretty cool insight into his books. "When writing, I tend to plan out what’s going to happen and make it up as I go along. 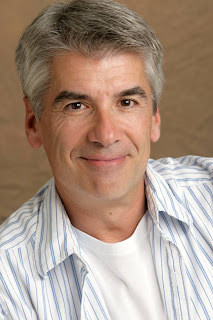 SYLO (the book and the trilogy) is an intricately plotted story. When writing that kind of tale, I want to know where the story is going before I start writing words that people will read. The last thing I want to happen is to write and write and write, only to find that I’ve hit a brick wall and can go no further because I’ve found a fatal flaw in the premise. Worse, I’d hate to find that fatal flaw in books #2 or #3, after book #1 has already been published! This is the point where I let the story take me wherever it wants to go. More often than not at this point I’ll travel far away from my original notes, but that’s okay. It means I’ve thought of something better. But I always know where I will eventually be headed, so I never get that far afield. So far this has worked pretty well. I haven’t hit any of those deadly brick walls." Find out more from D.J. about SYLO by watching his author video! parachuting out of military helicopters to invade Tucker Pierce’s idyllic hometown on Pemberwick Island, Maine. They call themselves SYLO and they are a secret branch of the U.S. Navy. SYLO’s commander, Captain Granger, informs Pemberwick residents that the island has been hit by a lethal virus and must be quarantined. Now Pemberwick is cut off from the outside world. Tucker believes there’s more to SYLO’s story. He was on the sidelines when the high school running back dropped dead with no warning. He saw the bizarre midnight explosion over the ocean, and the mysterious singing aircraft that travel like shadows through the night sky. He tasted the Ruby—and experienced the powers it gave him—for himself. What all this means, SYLO isn’t saying. Only Tucker holds the clues that can solve this deadly mystery. because Pemberwick is only the first stop." For the next stop on the SYLO blog tour, visit Long and Short Reviews on Friday! 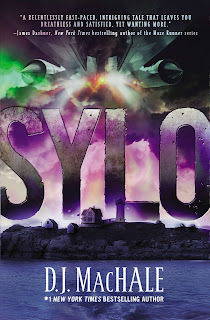 And to celebrate the release, I'll be giving away a copy of Sylo, a Sylo t-shirt, and a Sylo baseball cap! Just fill out the form below to enter! Wow. It's been awhile since Pendragon (the last series I read by him; didn't get to Morpheus Road). This sounds very exciting! 45 Pounds (More or Less) is Out Today!